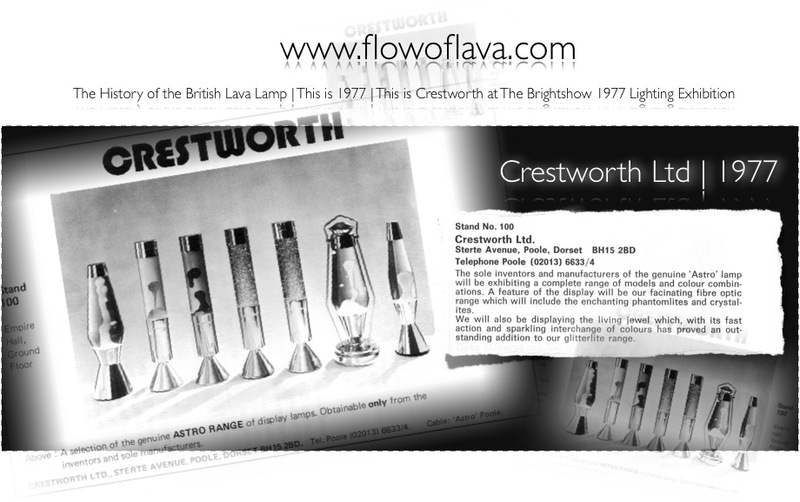 flowoflava.com: ::: 1970s Crestworth Product Lineup. Product lineup: Favoured for its Charm THE ORIGINAL "ASTRO": Perfect anywhere. Designed to suit any mood, any decor - in the home, office or public place. The "professional" extra for waiting rooms, halls and reception areas. Metal parts gleaming copper anodic finish. Please see below for the packaging. 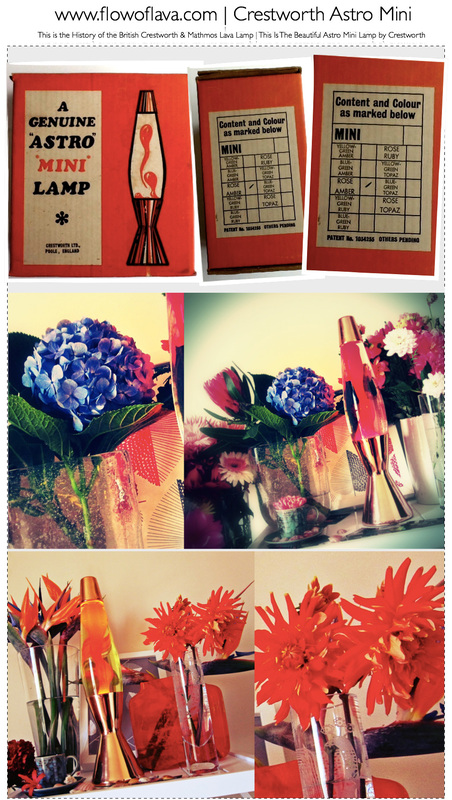 The box reads: The exotic conversation piece AN "ASTRO" LAMP by Crestworth Ltd. Simple Elegance "ASTRO MINI" - Will enhance the attractions of any room - has the clean, handsome lines of ageless good taste. Perfect for table settings and as a decorative piece for all occasions. So graceful! - idea for use in pairs. Smart copper anodic finish to metal parts. www.flowoflava.com | DG Lockwood | Japan Export Please see slide below. 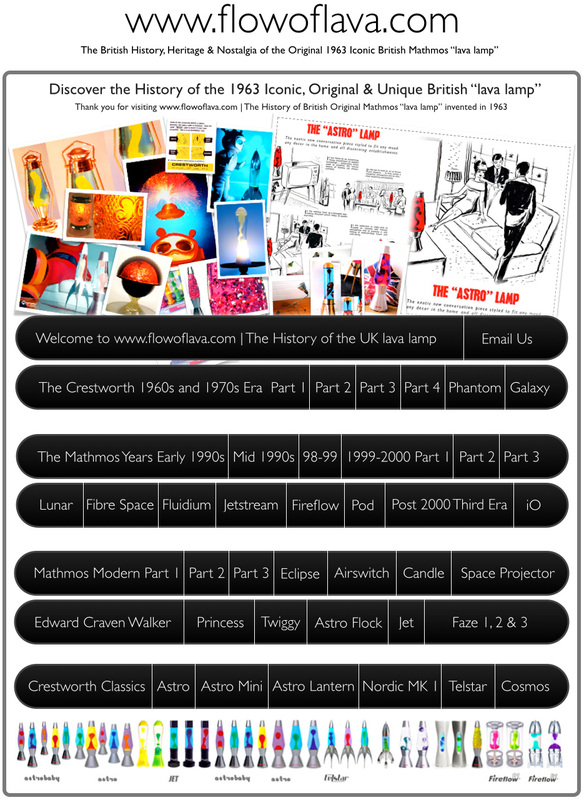 Whilst Edward Craven Walker's invention of the Astro lamp is a Great British Invention, it reached all over the world, in markets such as the US, Australia (via DG Lockwood), Japan (via Murakami Trading Co Ltd) and through stockists and businesses such as Interlava AG (Switzerland) and Decoverre in France. Some companies simply sold Crestworth products, some manufactured their own iterations such as Murakami which produced their own design and adapted the Astro Mini to also include a version with an integrated dimmer and pinholes within the base. Below is an advert from Murakami based in Japan. www.flowoflava.com | DG Lockwood | Australia Export Please see slide below. Whilst Edward Craven Walker's invention of the Astro lamp is a Great British Invention, it reached all over the world, in markets such as Australia (via DG Lockwood). DG Lockwood which was based in Melbourne in Australia, obtained exclusive rights for Australia from Crestworth. 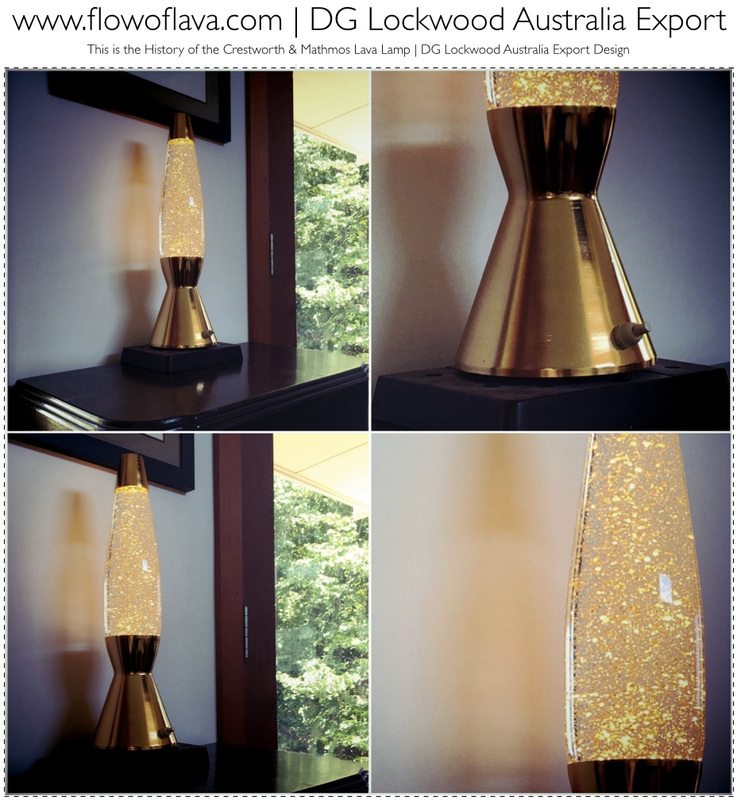 Lockwood lamps are often mistaken for a 1990s Crestworth Trading lamp known as the Comet. The Comet which is British manufactured, has the bakelite inside a spun base shape design. Whilst these two lamps may look similar their construction is radically different. DG Lockwood lamps are recognised by their integrated switch on the base, metal base plate which features a metal base plate engraved with the name DG Lockwood. Crestworth sent filled bottles to Australia and DG Lockwood manufactured bases to conform with local electrical regulations. 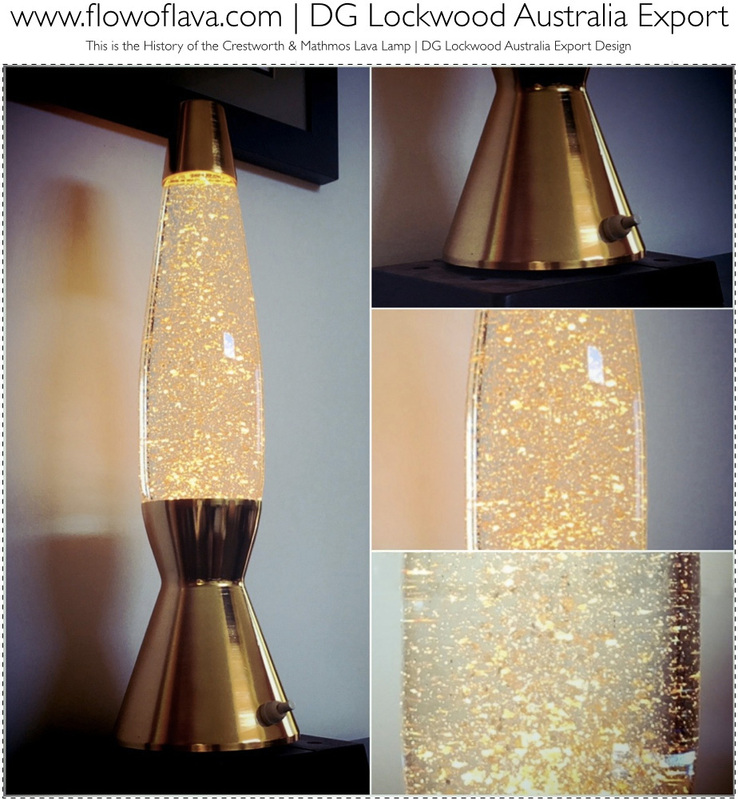 DG Lockwood had full access to Crestworth's lamp designs but the most popular design is their design below which is a hybrid of the Astro and Astro Mini. They also often favour a brass anodic finish as opposed to Crestworth's Astro Mini which favoured the copper anodic finish. Note how the base tooling creates the base design to curve upwards to hold the bottle. We would like to thank Rod Ennis for the images of the DG Lockwood lamp below. www.flowoflava.com | Manufacturing Vintage Photos | Clive Wheeler Please see slide below. 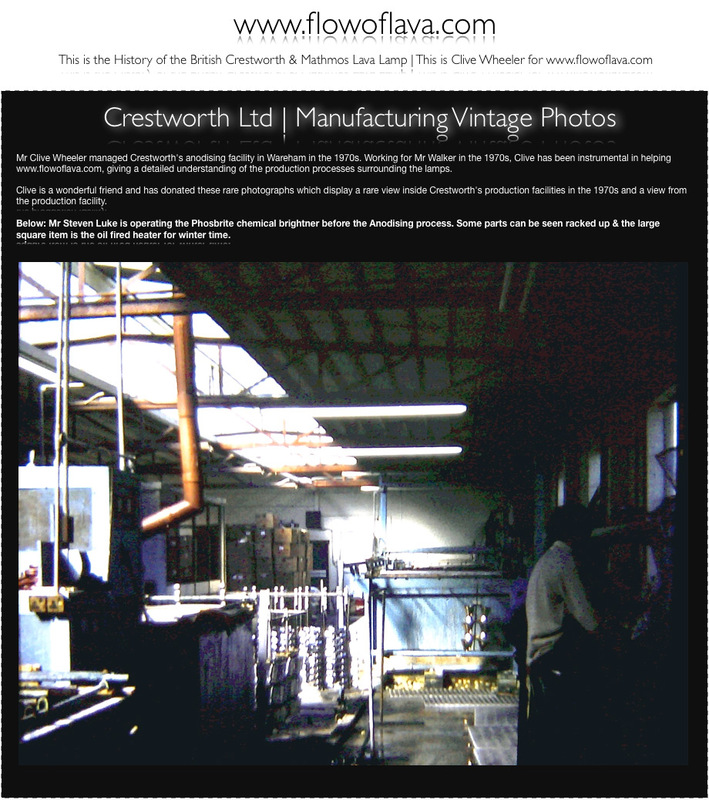 Mr Clive Wheeler managed Crestworth's anodising facility in Wareham in the 1970s. Working for Mr Walker in the 1970s, Clive has been instrumental in helping www.flowoflava.com, giving a detailed understanding of the production processes surrounding the lamps. 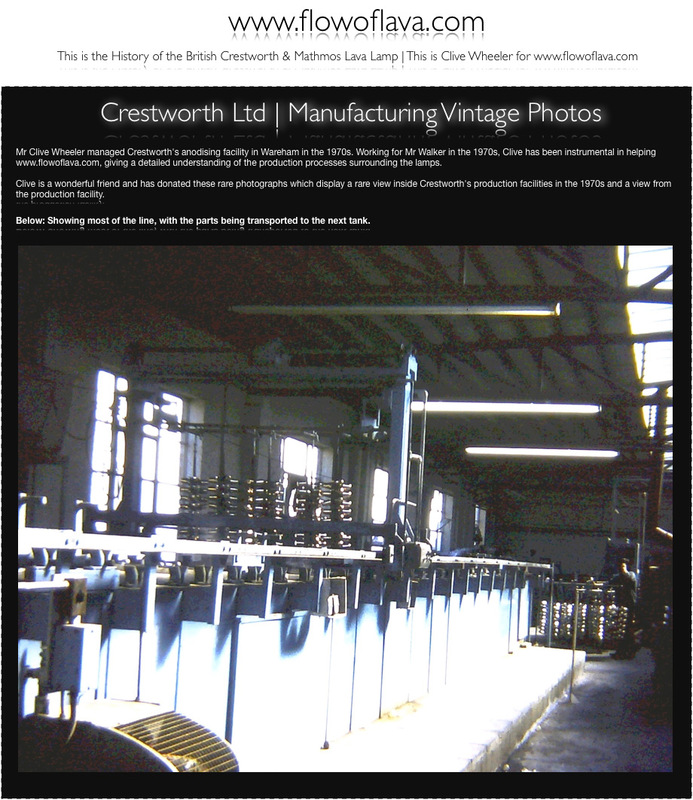 Clive is a wonderful friend and has donated these rare photographs which display a rare view inside Crestworth's production facilities in the 1970s and a view from the production facility. Below: 1. Mr Steven Luke is operating the Phosbrite chemical brightner before the Anodising process. Some parts can be seen racked up & the large square item is the oil fired heater for winter time. Below: 2. Showing most of the line, with the parts being transported to the next tank. 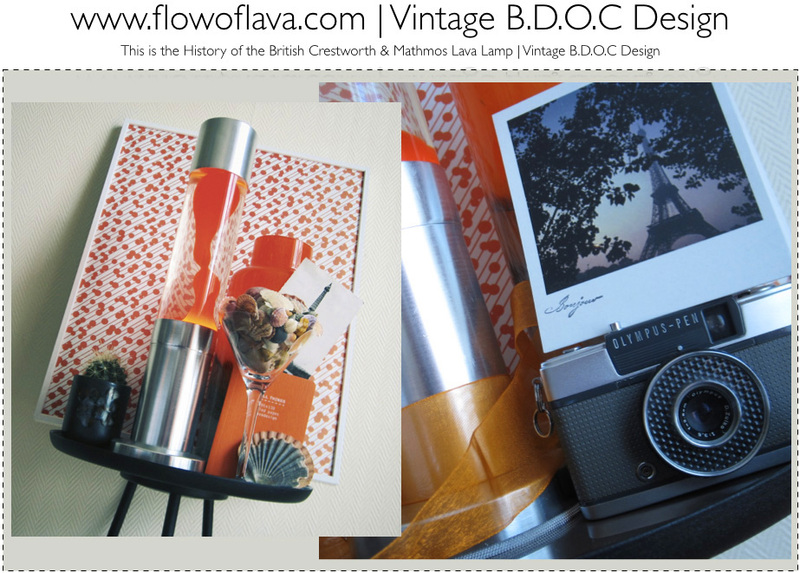 www.flowoflava.com | 1977 Brightshow Lighting Exhibition Please see slide below. 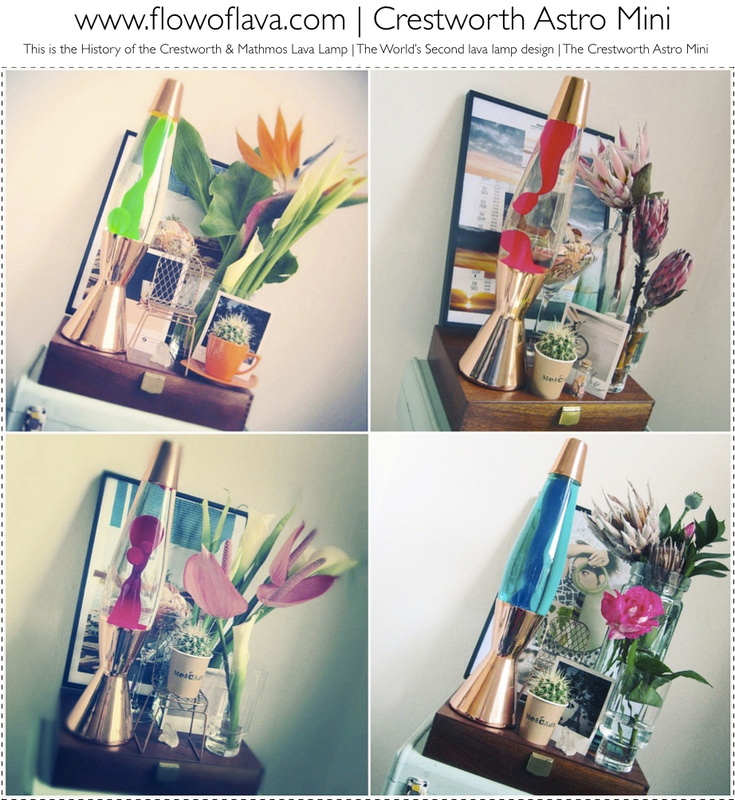 www.flowoflava.com | The Dazzling Crestworth Galaxy. Introduced by Crestworth in 1973. Please see slide below. 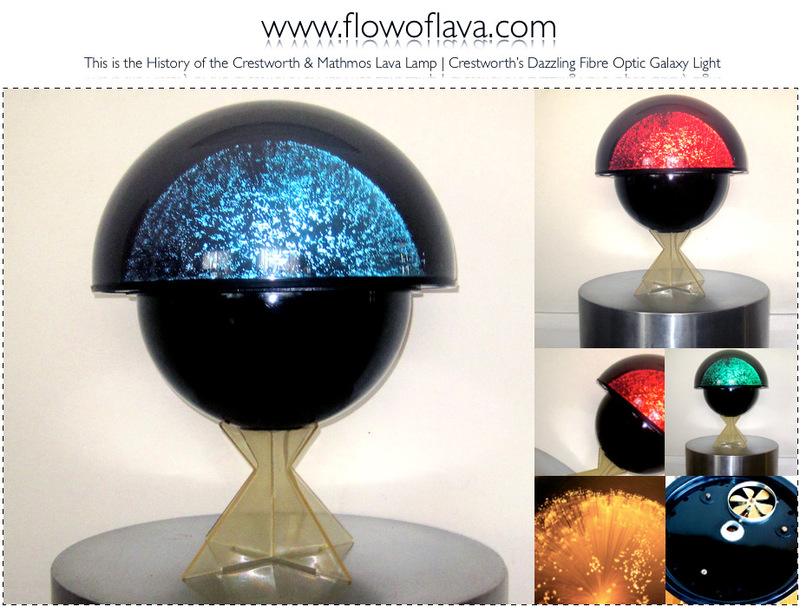 www.flowoflava.com | Crestworth Galaxy Fibre Optic Lamp Please see slide below. Crestworth Galaxy - Tens of thousands of minutely fine glass fibre optics artistically arranged to create an ever-moving, sawing sea of light, gently changing from one vivid colour to another. 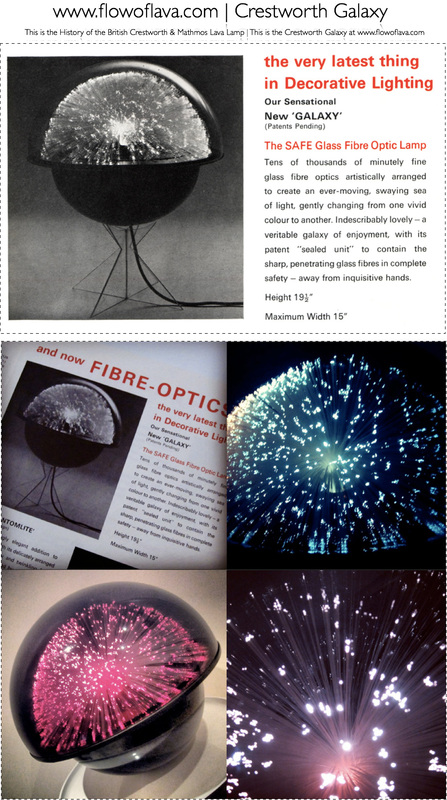 The Galaxy also had a patent which ensured that it the only safe glass fibre optic lamp on the market as the contents were encased in a perspex dome. Height 19.5" Max Width 15"
More images of the Galaxy can be seen below. They show the lighting effect, the underside complete with the Crestworth and Galaxy logos and the inside of the top dome which houses the internal fibre optics. 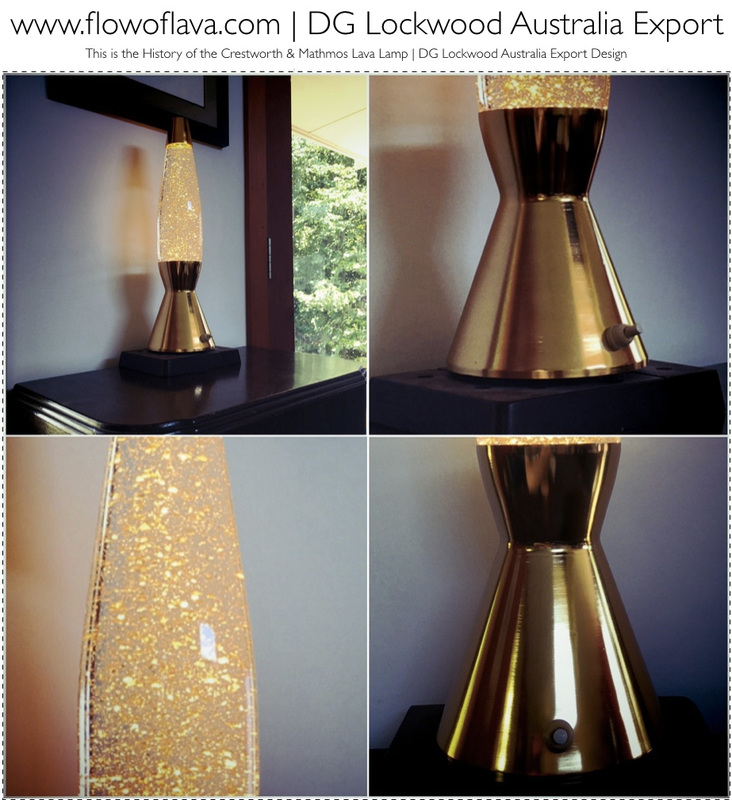 The Crestworth Galaxy is a stunning lamp.The Crestworth Galaxy also featured a clear perspex base which the Galaxy stood onto (please see below). However these clear stands are hard to find. The Crestworth Galaxy is often seen without the clear stand. It can still operate perfectly without the stand, as can be seen below. Images of the Crestworth GALAXY Model below. Also the later images below show the clear perspex stand that is rarely seen with the Crestworth Galaxy product. This stand elevates the product. The product can also be used without a stand. The stand is designed for low level use of the product. The "Galaxy" is specially designed for low level use-preferable on the floor or carpet - although it can, of course, be used on a table or television set etc., if desired. On no account should it placed near any direct source of heat since this could distort the Acrylic material. Images are kind courtesy of George Roussos. 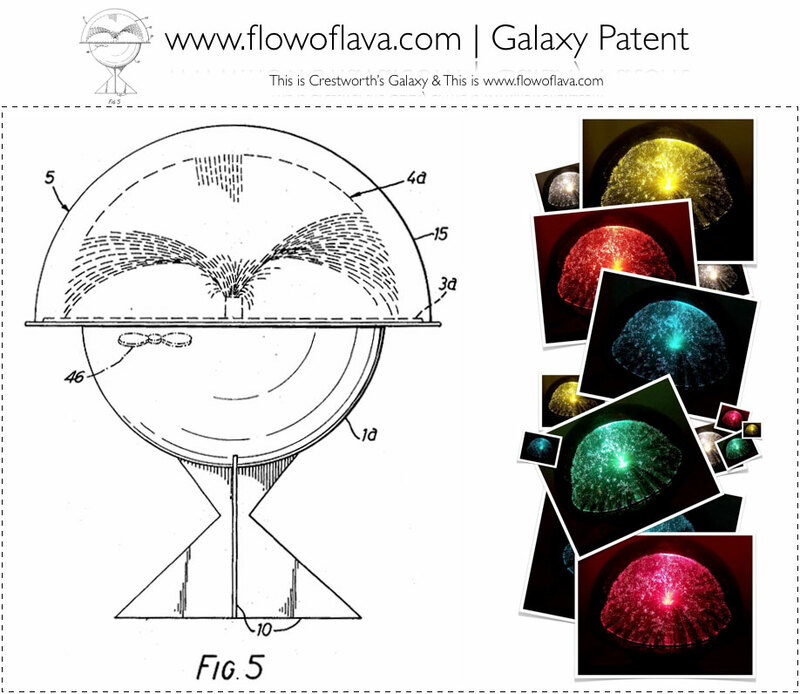 Instructions for Crestworth Galaxy Fiber Optic Lamp | Crestworth Patent Information Regarding Galaxy. Tens of thousands of minutely fine glass fibre optics artistically arranged to create an ever-moving, swaying sea of light, gently changing from one vivid colour to another. Special Sealed Unit - There is a special patent "sealed unit" to contain the sharp, penetrating glass fibres in complete safety - away from inquisitive hands. Lamp-Housing - This "sealed unit" Fibre-Housing stands on a Lamp-Housing which is fitted with a Tungsten-Halogen bulb (6 volt-20 watts), a transformer and two electric motors, one of which drives a rotating coloured disc and the other a fan which gently fans the fibres to and fro. There were will be a variety of coloured discs available, so, these are easily inter-changeable should you keep in touch with your retailer if you are interested. The very latest thing in Decorative Lighting. 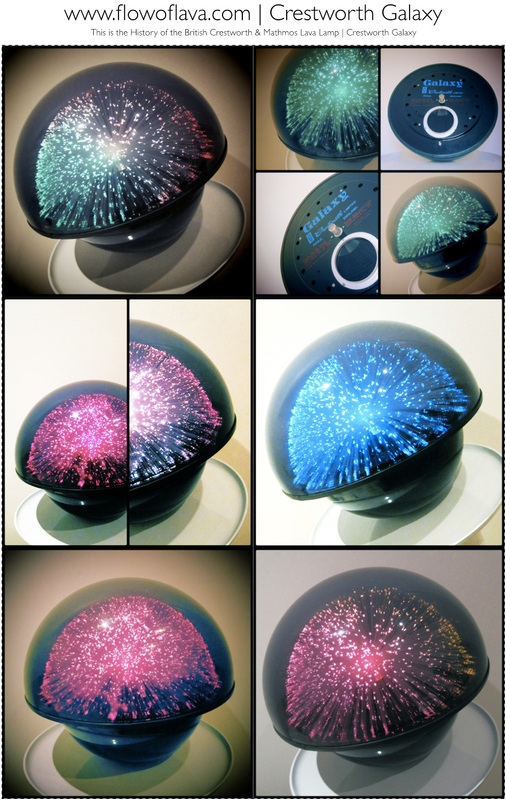 New "Galaxy" The SAFE Glass Fibre Optic Lamp. Illustration from Crestworth Patent. INSTRUCTIONS FOR ASSEMBLY OF A "GALAXY". 1. Place the black Lamp-Housing onto a table, dome downwards. 2. (a) Place a soft cushion (or some other very soft non-scratch object) on a table and then place the transparent dome of the Fibre-Housing downwards onto the soft surface. Sitting in front of the table, remove the wire coil entirely by slowly and carefully rotating it anti-clockwise outwards from the hole watching through the side of the transparent dome to see the coil unwinding. Continue unwinding until the coil is free from the hole. Please note: It would be wise to keep the wire (Holding-Piece) coil for re-insertion in case the lamp has to be transported later. The Holding-Piece off the Lamp-Housing and turned the former over onto a really soft surface, so that its transparent dome is downwards. Then insert the pointed end of the coil through the small slit (which is covered by a rubber flap) so that the coil itself is around the protruding ferrule. Then with a clockwise motion, the coil should be turned right home. (b) Now turn the Fibre-Housing over so that its transparent dome is upwards, and, after fitting the ferrule protruding from the Fibre-Housing, into the centre of the funnel of the black Lamp-Housing, carefully match the large holes joining the fan unit so as to seat the Fibre-Housing. (Note: It may be necessary to to rotate the Fibre-Housing slightly in either direction until it drops down into its correct seating). The fibres should now be formed into a neat hemisphere although final adjustment may be necessary by tilting the unit one way or another (gently before placing it down once again. The "Galaxy" is now ready for connection to the mains through a three-pin plug. When lit, the fibres should be fanning gently and continuously and they should change colours slowly according to the particular colour disc being used. The "Galaxy" can be placed direct or the floor or carpet (or on a table, preferably low) to give a very pleasing "intimate" effect, or it can be placed onto the special transparent base-stand provided. To assemble this transparent base-stand fit the two slots together. Place it on a table (or other level surface) and make sure that all four legs are touching. HOW TO CHANGE THE COLOUR DISC OF A "GALAXY". 1. Remove the "sealed unit" Fibre-Housing and stand this on some soft surface. 2. Carefully remove the main part of the Lamp-Housing from its black supporting dome (which may be a tight fit) and place the former on a table, taking care not to strain the electric cable connection. 3. Unscrew the three brass knurled-headed screws and lift off the top plate. 4. Remove the coloured disc by pulling upwards on the centre-piece with a slightly rotating motion (If there is no centre-piece, remove the disc by placing fingers under the disc and gently easing it upwards). 5. After fitting the new disc gently but firmly right down into position, replace the top plate and holding the pillars in the correct position, refit the three brass screws. 6. Replace into the black dome and refit the "sealed unit" Fibre-Housing (see Instructions for Assembly 2(b). IMPORTANT. Great care must be taken not touch the fan blades, since distorting them in any way will create vibration. 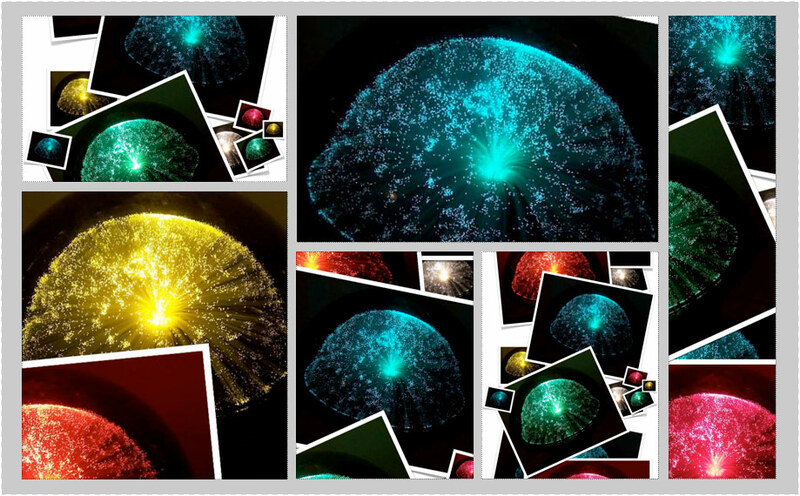 These images below show some of the colour ranges that the Crestworth Galaxy displays. It is a very stunning piece of Crestworth lighting and is a very safe design with the fibres behind a polymer dome. This allows for the optics to remain dust free and safe from hands. Alongside Edward Craven Walker's Crestworth Ltd which was created to manufacture and sell the Astro Lamp, Edward Craven Walker was a pioneer in the field of naturism, creating with his wife Christine, the beautiful and well designed naturist club known as the B.D.O.C (Bournemouth District Outdoor Club). 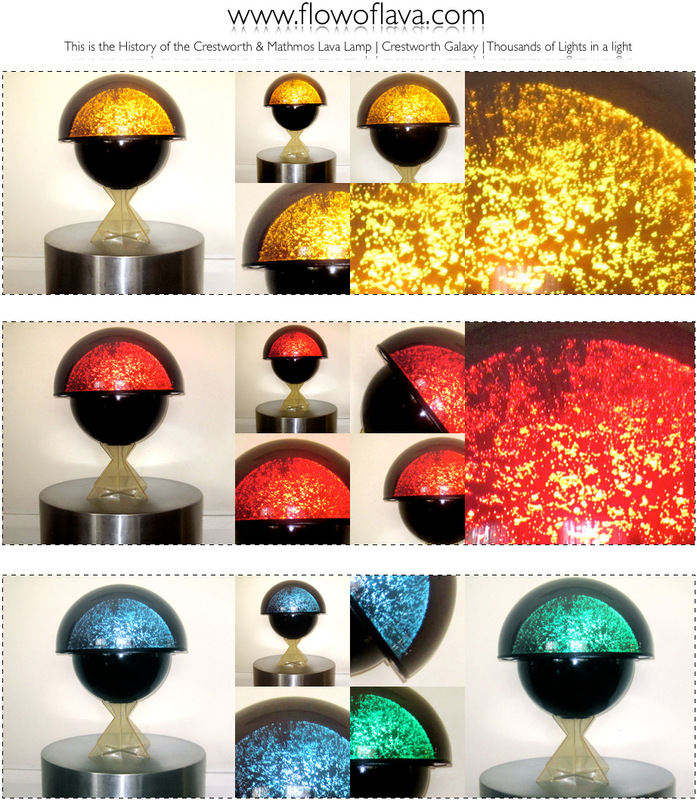 A number of lamps were sold and marketed under the BDOC name such as the tubular design that shares design references with other Crestworth Nordic lamps and the later Mathmos Jet. All Nordic and Jet bottles will work with this design which features the SBC fitting.